Our buyer's guides are packed with impartial, expert advice on eye care topics. 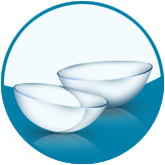 Watch handy instructional videos on contact lens care and get quick tips on making the most of your optical products. Putting in contact lenses and caring for them can be a bit daunting at first, but our handy buyers guides will help you be confident enough to regularly use your lenses. Using eye drops becomes quick and easy once you’ve practiced a few times. Our head optician recommends following these simple steps to ensure the proper application of your eye drops and prevent wasted drops. 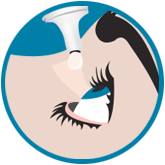 How to use eye drops to treat dry eyes.